Sorry it has been a busy few days. 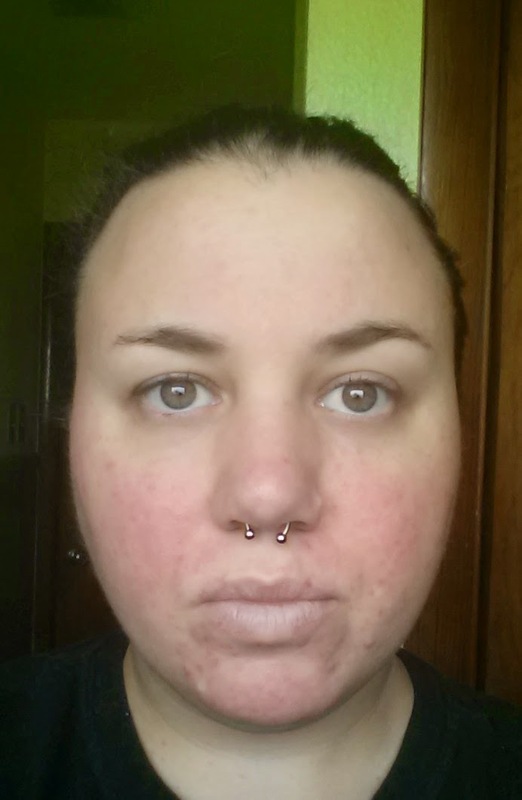 My face is getting better, I did have a few pustules pop back up but they are already going away. The hives from the nu-stock are going away too which is awesome. My face doesn't itch anymore which is the biggest relief. My face is still a little sunburned looking but that is getting better and I can cover it with makeup but I am hoping it will go away like it did eventually after I used it the first time. Right now I am back in lizard mode with the flaky scaly skin. 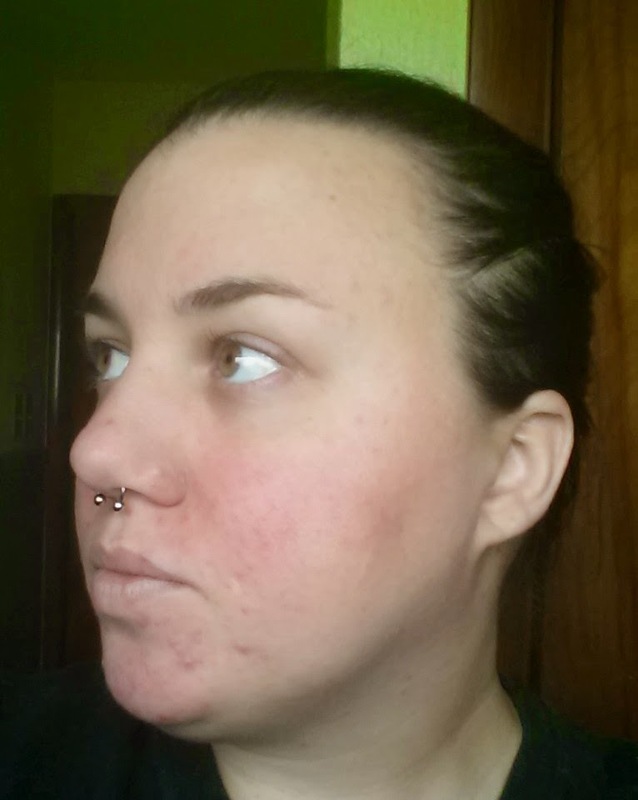 It is really annoying because it feels like a coat of armor that nothing can penetrate and no matter what I put in it never feels hydrated and when I do have makeup on to cover the redness you can literally see dry scales on my face. I am hoping like along with the redness this to shall go away like it did the last time I used nu-stock. Other than that my face looks pretty decent. 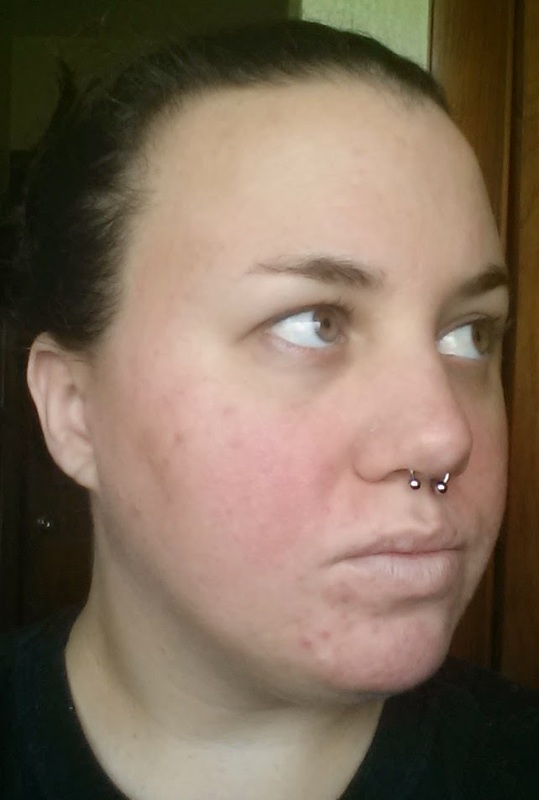 I have a few little blemishes but even those are healing and going away. Crossing my fingers that my face goes back to how it was a week ago soon. It was so nice. I really have no reason to think that it won't especially since I KNOW it is possible. Okay on to the pictures. Sorry for the dead look, I had just woken up and was running late. I swear I really need to take a decent picture of me one of these days and post it.